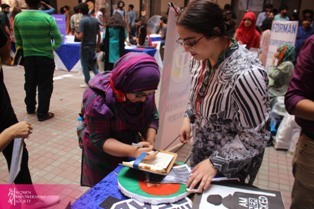 Society introduction and registration stall was put up by Women Empowerment Society on 29 August 2018. Society representatives talked about various social issues, the strain of gender roles and the need for gender equality with the freshmen. They also told them about the various initiatives taken by WES in the past. 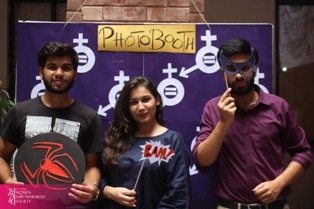 A photo booth was also arranged at the stall where students got their photos taken with the props made by the dedicated Creatives Team. Brochures explaining the feminist idea and the motto of Women Empowerment Society were distributed among students as well.